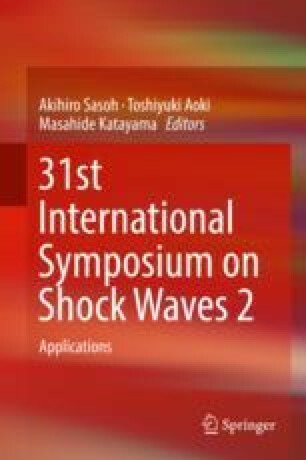 This work presents optical measurements of shock wave propagation in a glass micro-channel. This transparent facility, with a section ranging from 1 mm × 150 μm to 1 mm × 500 μm, exploits a high-speed schlieren videography to visualize the propagation of a shock wave within the micro-channel and to quantify velocity and boundary effects. In this paper, we focus on the Mach waves induced by wall roughness in the supersonic flow behind the wave.